Day Trips are the fun part of visiting our Bryce Canyon Villas, with incredible slot canyons and hikes just minutes away! We can help you plan your stay with us to include visiting the Grand Staircase, Bryce Canyon National Park, Escalante, Cedar Breaks, Zion National Park, Capital Reef and everything in-between! Once you determine which direction you'll be traveling to visit us, be sure to look over our various Day Trips. Many of them can be done while on the way to or from us. 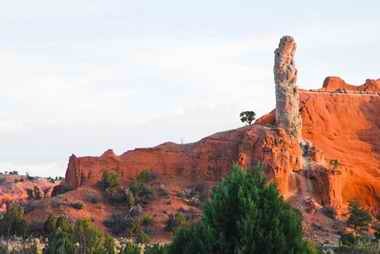 If you are coming from Salt Lake City area, the first "Wow" moment will be Red Canyon. You'll drive through the main parts of the Canyon on Scenic Rt 12, just before you get to Bryce Canyon. 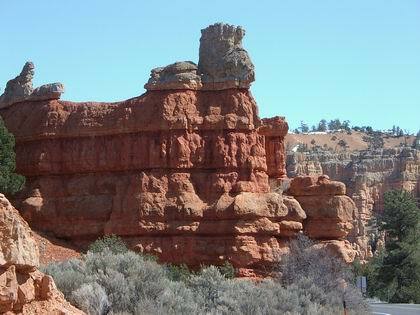 The structure shown here will be on your left as you approach Red Canyon. There are beautiful trails to walk on your way to our Bryce Canyon Villas. Stop at their Visitor Center, on your left, as you are driving through. They can point out some great hiking trails. 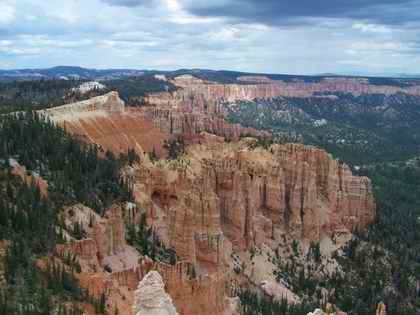 Red Canyon is a appetizer for what to expect when you see Bryce Canyon! 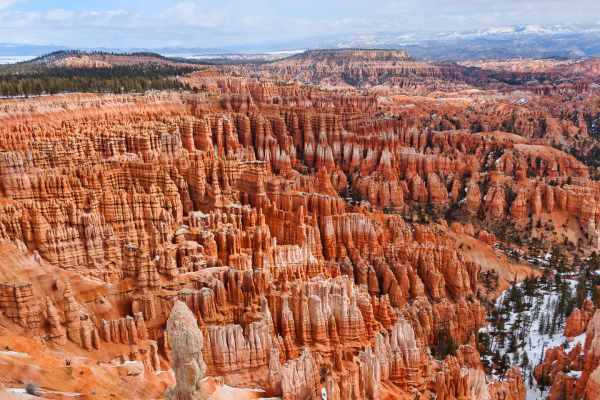 If you are coming to us from the Las Vegas area, you'll have to decide if you want to see Zion National Park or Cedar Breaks on the way to here. Either park/view is spectacular! Both roadways are a little more difficult in snow/ice conditions. The actual road to Cedar Breaks will close as soon as snow hits for the season and remain closed until the spring. 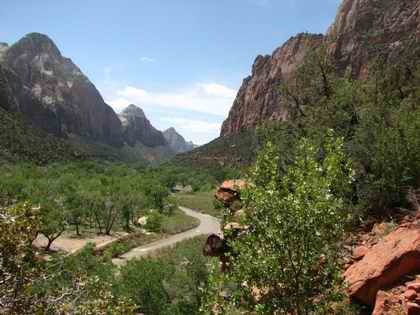 Zion will stay open, but can be difficult in bad weather. Zion is located on Rt 9 while Cedar Breaks is off Rt 14. Perhaps, visit one of them on the way to us and the other on the return trip? 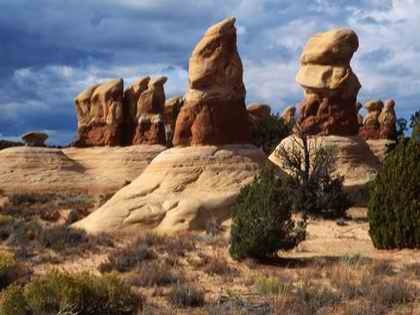 Most of our guests will leave from the same airport when they come to Southern Utah. The choice is yours. If you can plan enough time, we have wonderful Day Trips to the east of us - Escalante, the Grand Staircase, Capital Reef and the Arches in Moab. Unfortunately, Moab is more than a Day Trip - but, sure is worth the extra time!! Coming from the EAST ? If you are lucky enough to be coming to our Bryce Canyon Villas from the EAST, you can enjoy several different sites while on the way to us. 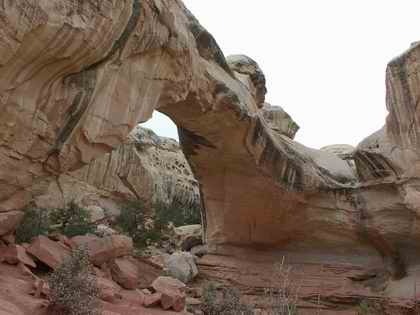 If you are staying in Capital Reef, there are plenty of hiking trails throughout the entire park. Once you are through there and on the way to us. Be sure to ask us about some day trip recommendations while traveling through the Grand Staircase. We can help you see the beautiful Devil's Garden, Dinosaur Tracks, Petroglyphs, beautiful waterfalls of either the Upper or Lower Calf Creek Falls - just to name a few great side trips. 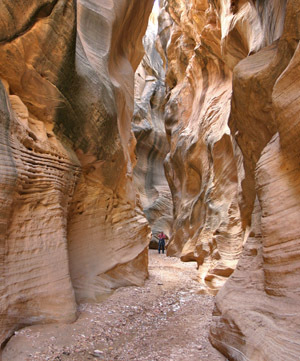 Many slot canyons can also be seen and walked or horseback ridden, in our Grand Staircase area. One of the most famous Slot Canyons in our entire area is only a few miles away - Willis Creek!! Be sure to book early - we only have 5 cabins available and they go quickly! Want some help planning a great Day Trip - Contact Us with some general ideas where you are coming from and the time of year. We'll be sure to send you some helpful info!